City, University of London has appointed Dr Kevin Dunseath as its Regional Director for the Middle East and North Africa (MENA) and also as Director of its Dubai Centre. The Centre offers the internationally-acclaimed Cass Executive MBA (EMBA), MSc programmes in Aviation, tailor-made executive education and business services. 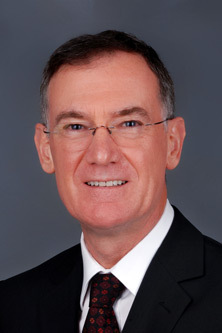 Dr Kevin Dunseath has more than 30 years of experience in international education, having worked in various educational institutions, ministries, in consulting and having led educational programmes in the corporate sector. His career has taken him to Saudi Arabia, Brunei, Zambia and Rwanda, in addition to his various roles across the United Arab Emirates (UAE) and the United Kingdom. In his new role, Dr Dunseath will oversee City, University of London’s regional operations, including leading on strategy development, stakeholder engagement and student and alumni relations. He will also lead the operations of the Dubai Centre, which since launching in 2009, has emerged as a market leader in postgraduate education for employers and employees in the region and beyond. “The Dubai Centre is an established and important hub for postgraduate education in the Middle East. It reflects the reputation City enjoys for academic excellence for business and the professions. I am delighted to take on this role at City, University of London and its Dubai Centre, both of which have established such a strong presence in the region and beyond. Working with an excellent team of faculty and staff, I am confident that we can deliver against our ambitions and continue to provide a quality, well-rounded education for our students. Dr Kevin Dunseath received his doctorate in education from the University of Sheffield after completing bachelor’s and master’s degrees in English from the University of Oxford. He also holds a Master of Philosophy in Linguistics from the University of Cambridge and an Executive MBA from the University of Sheffield. Find out more about the programmes offered at the Dubai Centre.